Outstanding features – top of the range 304 grade stainless steel construction, folding side tables and heavy duty trolley with lockable castor wheels. Designed to sit alongside our other Galley Series modules as either a part of the outdoor kitchen setup or as a stand alone oven. 30mm fire bricks on the oven floor and a very well insulated dome mean very good heat retention and pizzas being cooked the way the Italian’s meant them to be cooked. 3 Tier Pizza Rack and Stones included in price ! 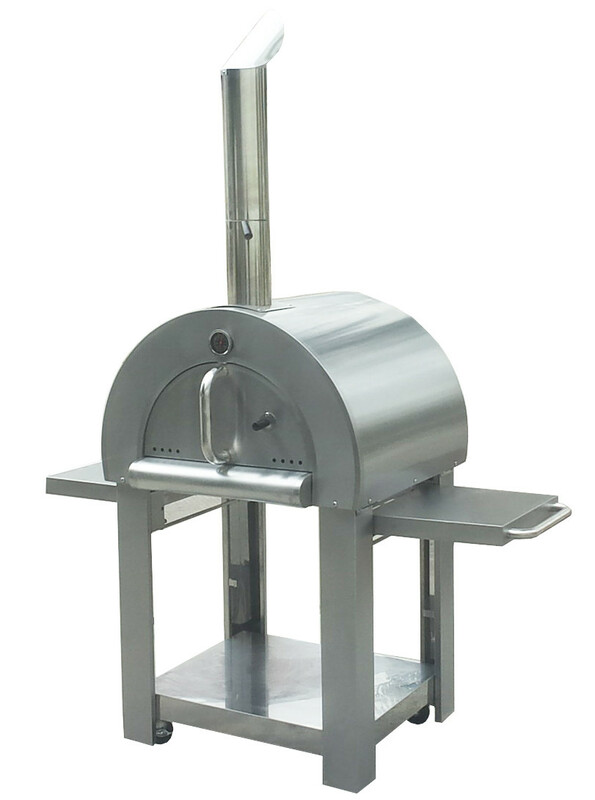 Essential for any full outdoor kitchen setup, this brilliant new model features full #304 grade Stainless Steel construction and includes a 3 tier pizza rack with stones allowing you to cook three pizzas at once. Designed to compliment the other modules in the ChefMaster Galley Series it can work sitting alongside our other modules or looks imptessive as a stand alone oven. This top quality oven includes full stainless steel stand, folding side tables and lockable rear castor wheels.